A 2-millimeter hole was found last week in a Russian Soyuz MS-09 spacecraft (left) that is docked to the International Space Station. Russian officials are saying that a tiny leak at the International Space Station was likely caused by a human hand. Now, they're trying to figure out who did it, why they did it and whether it happened in space or on the ground. "We don't reject any theories," said Dmitry Rogozin, the head of Russia's state space agency Roscosmos, according to state news agency TASS. He added that they're aiming "to find out whether it was an accidental defect or a deliberate spoilage and where it was done ... we will find out, without fail." And while Rogozin said they aren't ruling out the possibility of sabotage, an accident seems more likely: "It seems to be done by a faltering hand... it is a technological error by a specialist." Rogozin added that they have dismissed a theory that the hole was caused by a meteorite. 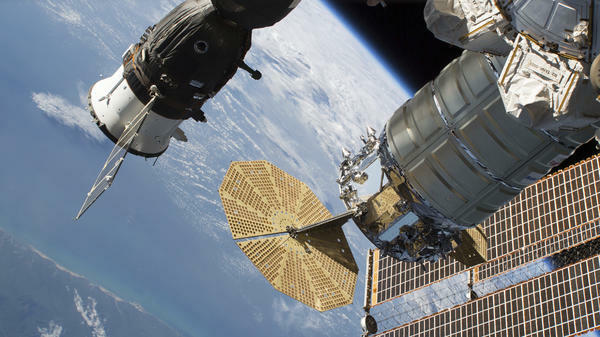 No one aboard the space station was in significant danger as a result of the leak, which was detected last Wednesday evening by flight controllers. The crew first addressed the problem by applying tape to the hole, according to NASA, and later, Russian flight engineer Sergey Prokopyev plugged the hole using gauze and epoxy, a super-strong sealant. A Russian cosmonautics expert, Alexander Zheleznyakov, was extremely skeptical of theories that the hole was drilled deliberately from space. "Why should any of the crew try to do that? I would not like to use the word nonsense, but all this does not fit in well with logic," Zheleznyakov told TASS. He offered another possibility: "Most probably all had happened at the manufacturer's plant. A hole that has been patched up with glue is hard to detect. ... Most probably, a worker drilled a wrong hole and then patched it up and then either avoided telling anyone or those he had informed preferred to keep quiet, too." The Soyuz spacecraft was made by the Russian corporation Energia, according to TASS. The International Space Station is currently hosting three NASA astronauts, two Russian cosmonauts and one European Space Agency astronaut. John Logsdon, a space policy expert at George Washington University, told NPR that there is "a kind of generalized concern about the decline of quality control in Russian space industry in recent years." If the hole was accidental, he said, "and then covered up and nobody inspected and found it ... that's troubling." Roscosmos has appointed a commission to investigate and expects its work to be done by mid-September. Leroy Chiao, former commander of the International Space Station, told NPR that he finds it somewhat mysterious that the hole appears to be hand-drilled through the material that's about half an inch thick. "It would take a little while to drill all the way through the hole," he said. Chiao recalled how the astronauts were vigilant during his expedition about anything that might cause a drop in pressure, like this leak did. "Pressure dips are certainly not a routine thing," he said. "So as soon as we hear a noise, we would rush over to the very sensitive pressure gauge to make sure that the pressure was holding," Chiao said. "That was definitely something that we were attuned to." Here's a story of a space mystery. How did a tiny hole end up in the hull of a Russian module that's attached to the International Space Station? 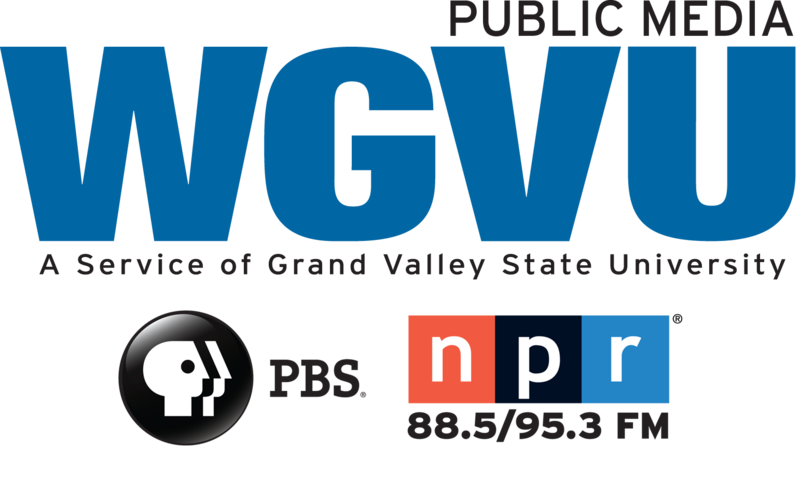 NPR's Nell Greenfieldboyce reports. NELL GREENFIELDBOYCE, BYLINE: Leroy Chiao is a former NASA astronaut who was once commander of the station. He says, living up there in an outpost that's bigger than a house, one of the things you worry about is your precious air leaking out into space. LEROY CHIAO: The structure will creak a little bit. So as soon as we hear a noise, you know, we would rush over to the very sensitive pressure gauge to make sure that the pressure was holding. GREENFIELDBOYCE: The pressure gauge registered a minute drop in pressure last week, not serious enough for NASA to wake up the sleeping crew. But still, once the crew got up, they went on a hunt. UNIDENTIFIED ASTRONAUT #1: Two to the station on one, how copy? UNIDENTIFIED ASTRONAUT #2: Loud and clear on one. GREENFIELDBOYCE: Alexander Gerst, an astronaut from the European Space Agency, told mission control that they found a 2 millimeter-wide hole in the hull of a Russian spacecraft that's attached to the station. They could hear air being sucked out. He first stuck his finger over it to plug it up, then slapped heavy-duty tape on the hole. ALEXANDER GERST: So my finger's released here (laughter). GREENFIELDBOYCE: What he saw did not look like a tiny meteorite impact. GERST: It looks more like a drill hole. There's actually some tool tapping from maybe a drill head around that. GREENFIELDBOYCE: The crew later fixed it with epoxy. But how did this hole get there? Was it a blunder that a worker who built the capsule tried to patch up, or some kind of sabotage on the ground or in space? Leroy Chiao says it's a real head-scratcher. CHIAO: I'm going to be interested to see what finally comes out of this. It's a little mysterious that this would be a hand-drilled hole. GREENFIELDBOYCE: Speculation is so rampant that the Russian space agency has just asked the press to stop running what it called unverified information from anonymous sources. It's investigating and will issue a report later this month. A NASA spokesperson said the agency is confident that their Russian partners will identify the cause. Nell Greenfieldboyce, NPR News. Transcript provided by NPR, Copyright NPR.